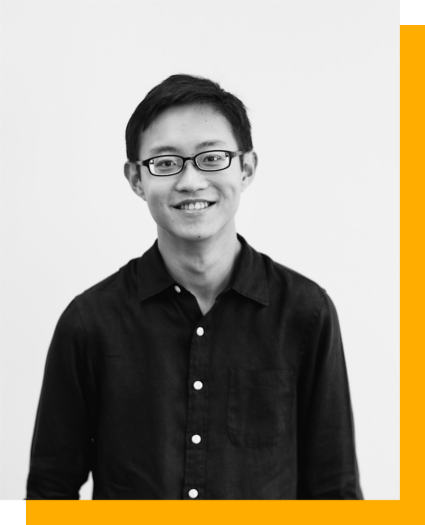 Theophilus Kwek is the author of two poetry collections, They Speak Only Our Mother Tongue (Ethos Books, 2011) and Circle Line (Math Paper Press, 2014), which was shortlisted for the Singapore Literature Prize the same year. His poems have appeared in Cake, Spork Press, QLRS, Cadaverine, and Mascara Literary Review. In 2014, he was awarded the Martin Starkie Prize by the Oxford Poetry Society, and in 2015, the Jane Martin Poetry Prize. He reads History and Politics at Merton College, Oxford, and is secretary of the Oxford University Poetry Society. They Speak Only Our Mother Tongue works within a framework common to debut collections, mining familiar grounds of family, home, and tradition. Yet, it feels less like a first step and more a careful, considered reevaluation of the big questions concerning selfhood. Alvin Pang has described Kwek’s poetic voice as “nuanced and self-aware,” and evident in the poems is a maturity defined not by age or accumulated knowledge but by compassion (6). In Speak, people and their stories come first. Each poem highlights the experiences of other voices as the persona is content to remain in the background. “Visiting Aunty Fang Mei, 79,” for instance, is a portrait of a dying woman that does not condescend to pity or romanticisation; beauty is imagined not in impending death, but in the woman herself, her “troubled hair / [ . . . ] dark with laughter” and her “practiced calmness”. Most affecting is the image of an angel “skip[ping] stones off her memories” while “on / the other side another collects his pebbles, smooth / like emerald rings, jade pendants, the split bone / in her left arm”. It speaks to a kind of holiness anchored in the human. Similarly, in “Grandmother Stories,” Grandmother is “courage / laced with quiet aged care” and it is the grandchildren who are “remembered in her tales, returned to solace / by amnesiac words,” who are “more transformed than absorbed / as we listen to her parables”. The same compassion is extended to strangers on the street, tourists, foreign workers. Whether it is the Indonesian maid who is searching for “a place to sit down, to call home” or the mother in a burqawhose eyes have “turned dirty grey from miscare,” the poet offers them the “seat beside [him]” because “stone benches / are meant for two ends of the same conversation” (“Orchard, night”). The landscape of Singapore forms the background of the collection. Because the personal is first principle for Kwek, Singapore is Home with socio-political connotations [i] but it is also, and more importantly, a personal home. Singapore is where Aunty Fang Mei “becomes a river; flowing / relentless from the depths of nineteen-thirty” (“Visiting Aunty Fang Mei, 79”) and where Grandmother “[learns] to tell / promfret from garoupa” (“Grandmother Stories”). It is also the “void / deck where the raindrops burn long moments into hours” (“Home is”), the “half-an-hour island where / life is of such proximity” that a man feels the need for distance (“Reunion”), where a troubled couple sit “neither raving mad nor madly loving / nor mad at all” (“Strangers”). The meanings that Kwek cultivates in Speak are those which, to rephrase Aaron Maniam, “extend [ . . . ] inward to a core of person-ness we all share” and then, “outward to an external world that holds continual surprise” (Speak, blurb). Kwek’s compassion is one that acknowledges the integrity of the individual and the richness of his imaginative life without infringing on them. Contrary to what Angus Whitehead suggests in his review, Kwek does not make any potentially “homogenising” (186) assumptions in the course of extending compassion to a variety of characters because he is not seeking to give voice to others—rather, he seeks to communicate a shared humanity. Kwek’s second collection, Circle Line (Math Paper Press, 2013) deals with many of the same issues as those explored in Speak,but is much more ambitious. Homer’s Odyssey looms in the background: the train line is employed as a metaphor for the many little “journeys that takes us back to the same place, but not quite” (Circle Line, blurb). The poems do not map to any singular geography but traverse a variety of places and issues from familiar local landscapes to foreign countries, from the personal and the intimate to social issues and national histories. Taking the reader from the threshold of the family home in “Joss” to Mdm Kwa Geok Choo’s wake in “After the Wake,” to Tennessee and Georgia where fragments of objects are blown from Alabama by southern storms (“Toby”), Kwek presents each ‘stop’ as a “starting-point for us to consider what happens when our circles align, or when our lines [ . . . ] come full circle” (blurb). In Circle Line, Kwek suggests that we bear the marks of the places we have been to, the people we meet, the books we read, and we leave our marks in turn. Each experience alters us for good or ill, such that we always inhabit other places, are always different people. In “9 August 2013,” this constant possibility for change is the unexpected takeaway from a poem ostensibly about the haze. The city rendered “invisible” by it is seen as an opportunity for redefinition without erasure, as the persona imagines a way out of a sense of self and place that is often presented as stifling and oppressive. This insight is one of many moments of clarity that Kwek proffers in Circle Line. Small but weighty, they are the cornerstones of an accomplished second collection,. In “Joss,” Kwek engages with the complicated, troubled relationship between the past and the present. While this is a common theme, the poem’s point lies in the revelation that it is ye-ye’s spirit the persona wishes “would stop remembering the way home”; “it was beneath that tree, mother had said, / that ye-ye waited every seventh-month to be let in, / and fed”. These chilling lines give shape to an aspect of the past that overlooked in any idealisation of history, and are among the most gripping of the collection. This inclination to tip things over, to offer an alternative perspective, is also enacted in the form of the collection: the poems lie on their side, evoking the zongpai or ‘vertical alignment’ style of writing in traditional Chinese scripts. A collection best described as heavy for its engagement with issues of time and its consequences, Circle Line offers few suggestions for “break[ing] the shadow”: for now, we take comfort in “trust[ing] the clean, strong sun” (“Laundry”). Kwek’s interest in the individual’s relation to the passing of time emerges again in his Martin Starkie Prize poem, “Ultimate and penultimate things”. The title, taken from “Part IV” of Dietrich Bonhoeffer’s Ethics (1955), immediately impresses with the mark of erudition as does the terza rima form of the poem. Refracting philosophical considerations through the “quite ordinary scene of being shown around someone’s home,” Kwek ensures that the reader escapes unscathed from his obvious learning and comes away instead with an image of deeply felt personal resonance (Kwek, “Merton poet wins Martin Starkie Prize”). Enfolded in these intellectual trappings is a quietly moving poem that looks unflinchingly and compassionately at the realities of age and death. I think that carrying-on of daily life in light of death’s certainty is precisely part of what faith is about. Faith is, I think, the certain working of ordinary choice and good in the face of uncertain death: it is what allows us (me) to keep going. Writing from such a position, Kwek offers the reader a perspective grounded in tempered optimism. While Kwek’s personae adopt a flaneur­-like role in his poetry (Whitehead 186), the poet is nonetheless deeply engaged with the particularities of experience. Kwek observes and makes the effort to empathise, recognise, and connect. [i] Kwek’s engagement with social issues that affect contemporary Singapore is dealt with in Angus Whitehead’s review of the collection. “Merton poet wins Martin Starkie Prize.” Merton College Website June 2014. Web. 14 June 2015. Web. Kwek, Theophilus. Circle Line. Singapore: Math Paper Press, 2014. — They Speak Only Our Mother Tongue. Singapore: Ethos Books, 2011. Pang, Alvin. “Foreword.” They Speak Only Our Mother Tongue. Singapore: Ethos Books, 2011. Whitehead, Angus. Rev. of They Speak Only Our Mother Tongue. Asiatic 6.2. (2012). 184-88.